Well, what can I say. Absolutely brilliant! But if you don't like epic style anime. What do I mean by epic? Well, the likes of Akira, Ghost in the Shell, Wings of Honnemaise, Spriggan etc, then you might want to avoid it. It is visually stunning, and has lots of action. 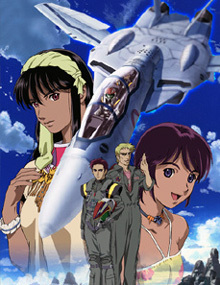 If you liked Macross Plus, then you'll definitely enjoy Macross Zero. The only problem I found was when tracking down somewhere that actually sells the DVD. On a final note: At last I got to see a full transforming Valkyrie in all its glory, and in astonishing clarity. At least its worth a watch for just that transforming sequence alone.